Bobbers, floats, suspenders, indicators, call them what you will, they serve a purpose and there are a multitude to choose from. I have been delving deeper into the nymphing game since my time in Estes Park, Colorado a few years back. Our Michigan rivers aren’t as easily fished with heavily weighted flies. The large amounts of wood make it difficult to get a snag free drift. We do have a few rivers that lend themselves well to nymphing techniques. These rivers are special and held in high regard. 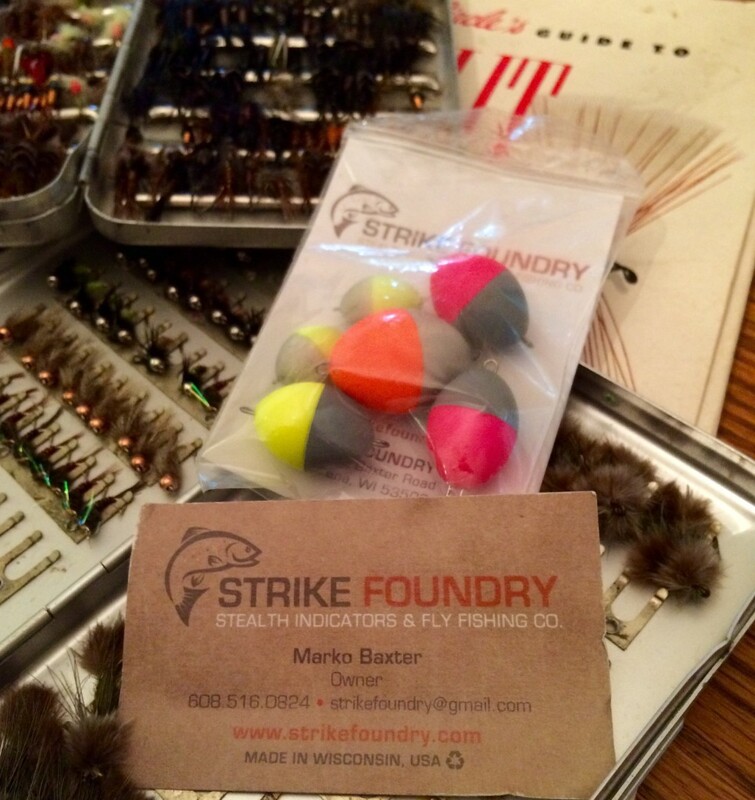 I recently had the opportunity to try out Strike Foundry’s new line of indicators. After talking with Marko Baxter from the company, I got to find out a little bit more as to how and why he got started. It was a simple question to make a better indicator- after he watched clients over the years miss strikes from trout over and over again, he wanted to develop something that was more directly connected to the flies. At first I was hesitant at the rather large and bulkiness of the float indi, with stationary mounts on both ends of the bobber, but soon realized the purpose. I have found, especially with clients who aren’t as well tuned into what the fly is doing subsurface, that they actually get a better read watching these floats. These indicators do require you to add or subtract lengths of tippet in varied water depths, but with beginner anglers, I go with a safe depth of 3-4 feet, depending on water depth, adding a secondary trailer is also a good option and won’t deter the performance of the indicator. The larger style float allows for a client to drift a much larger fly, like a #12 bead head Woolly Bugger or hefty weighted Zug Bug/Copper John. Laugh as you may, but many clients, especially first time anglers have out fished the more experienced angler with the basic bugger in black or olive, and often, once you have overcome the internal debate, tying on a bugger is the first step to getting a fish in the net on those non-productive days. 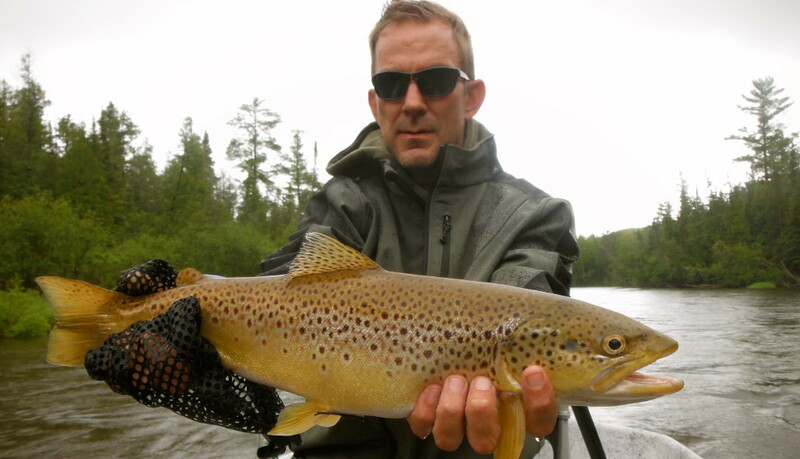 Marko had the insight to seek advice from one of the foremost authorities in our time on the the basic needs of the nymph angler- George Daniels, author of Dynamic Nymphing. Marco also fished with Cody Burgdorff PFA Tour Champion and had the chance to collaborate concepts. They bounced ideas back and forth and have integrated a more buoyant coil sighter for those delicate presentations when you need a small and simple mend to not remove your fly from the target zone and to once again stay more connected to the fly. Most technical drifts in the Driftless region are short, they need to be precise. I am extremely excited and look forward to more days on the water when I can run the coil sighter through better practice runs. Seems lately, it has been either the high water streamer game or highly anticipated evening dry fly match the hatch season. I aksed Marko where and who these indicators where meant for. “I needed the suspender indicator to be able to be rigged multiple ways effectively, whether it be right angled or hinged, inline and looped over like conventional indis. I owe a great deal of gratitude to my friends Mark Raisler and John Arnold at Headhunters Fly Shop on the Missouri River in Craig, MT. They were a great resource as I went through indicator development. reward on a long wet day.